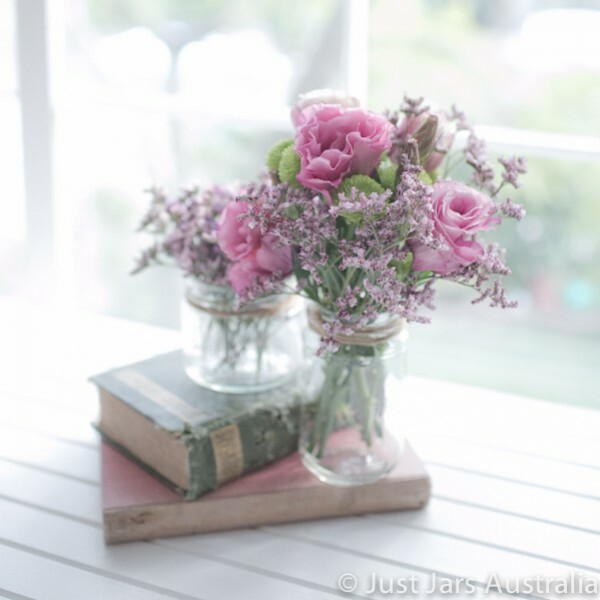 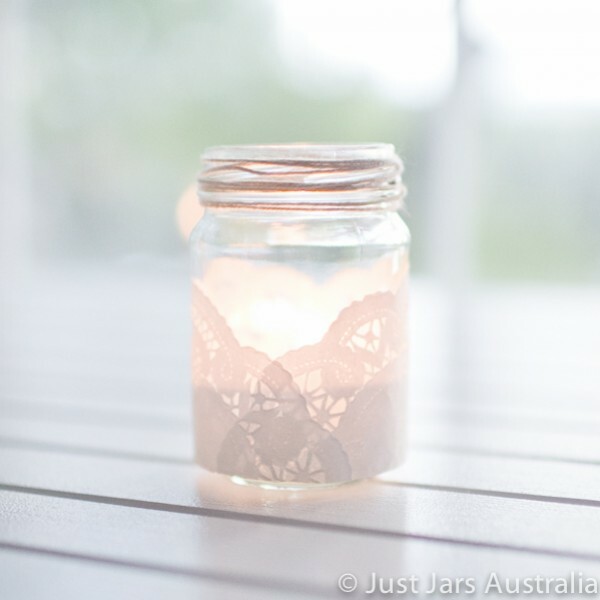 The jars look great on wedding tables in mixed-size clusters holdng flowers or candles*, and some jute twine wound around the neck of the jar completes the rustic look! 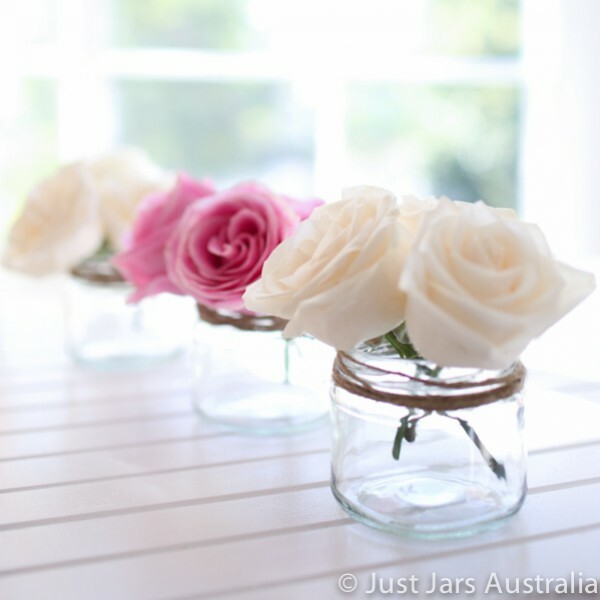 Please note that flowers / twine / other props are shown in photos purely to illustrate how the jars can be used and are not for sale! 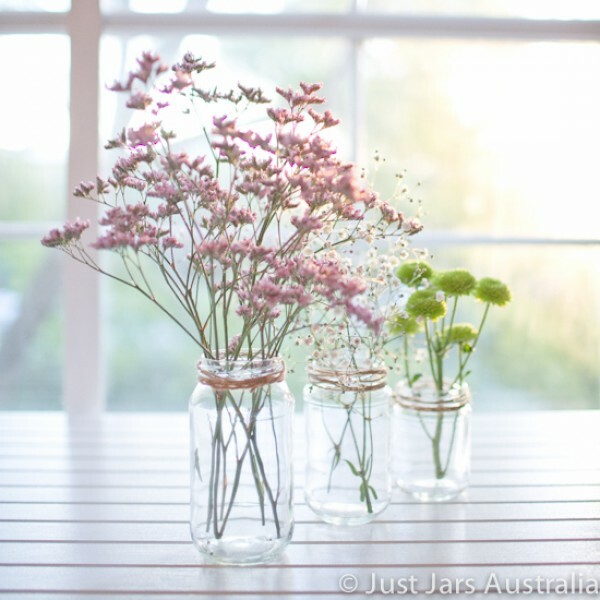 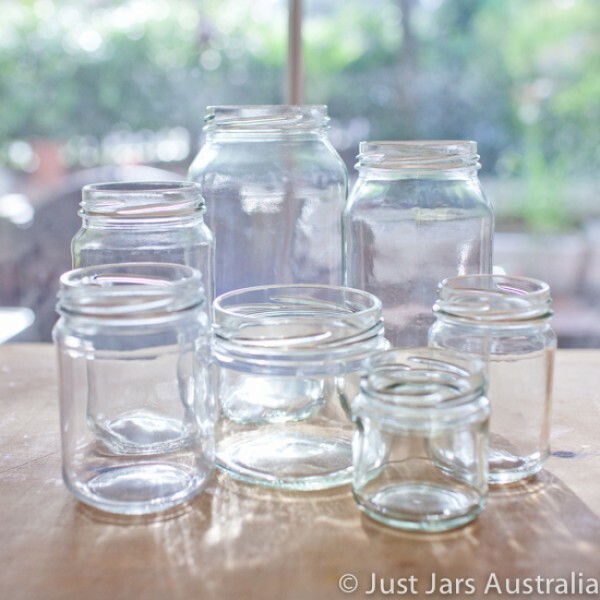 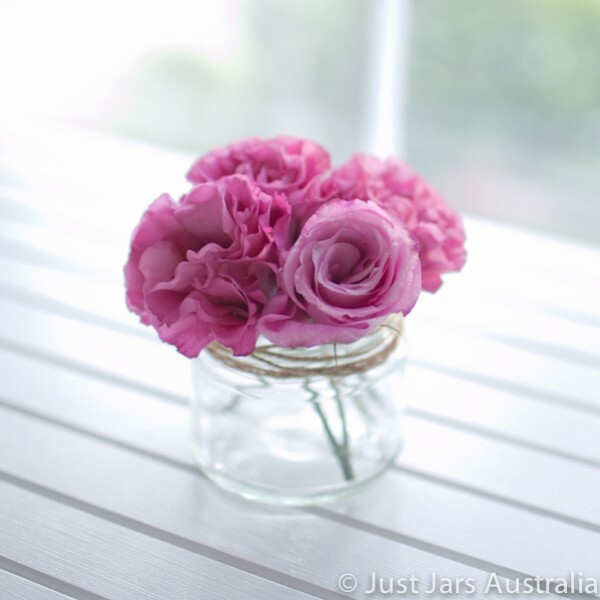 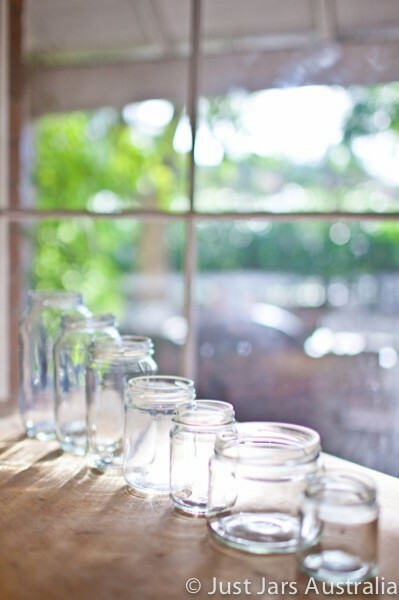 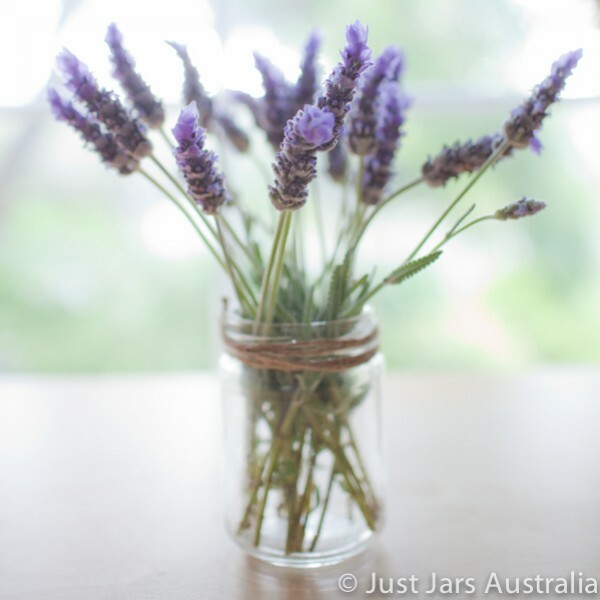 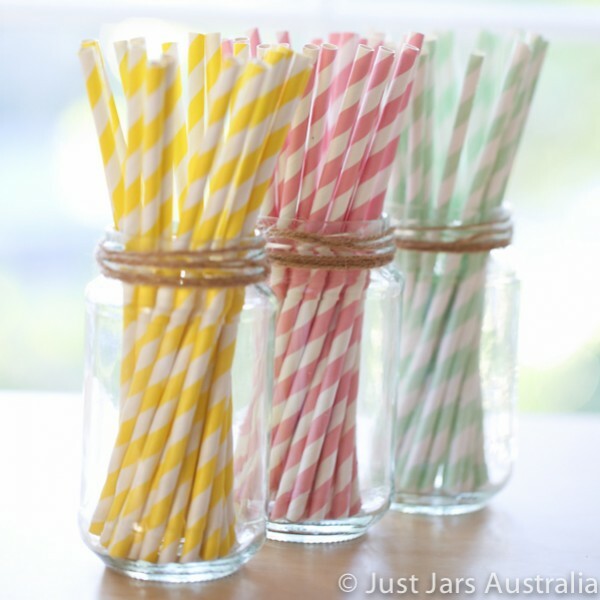 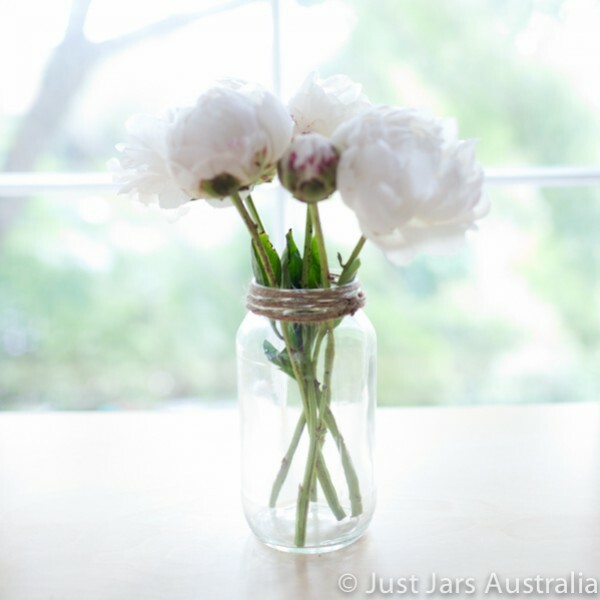 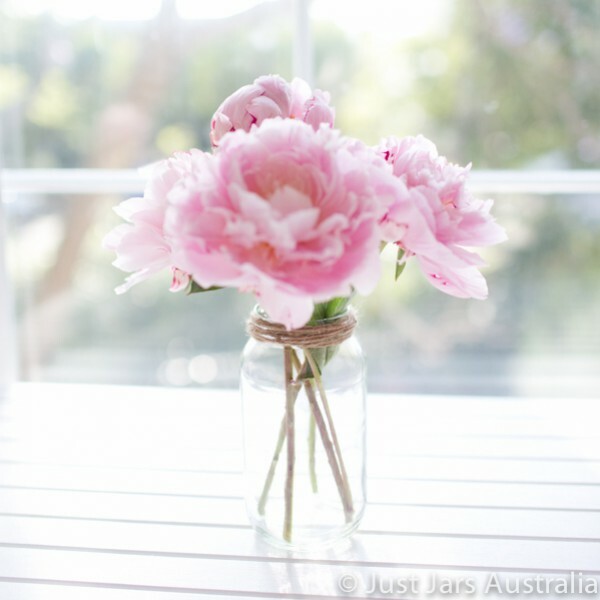 * Buyers please be aware that standard glass jars manufactured in Australia typically have a slightly domed base (just check out any jar of jam or honey in your cupboard!) 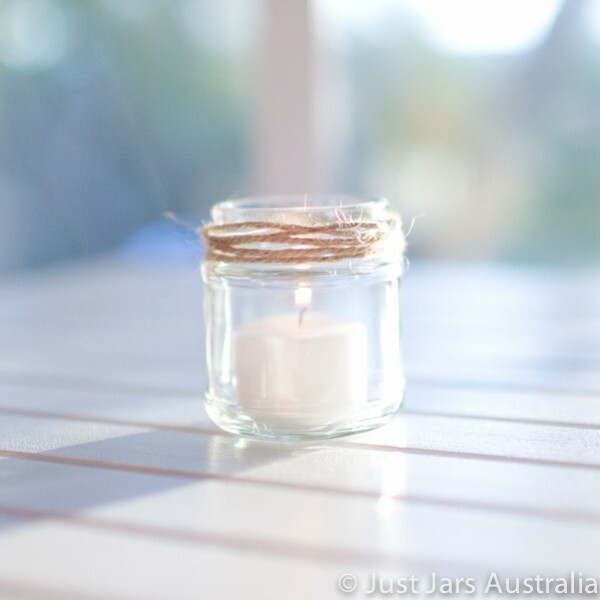 so we recommend stabilising candles using melted wax, sand, gravel, or any other suitable substance.